High efficiency gas fires are fully sealed heating appliances. The fire chamber is airtight, which means that combustion can be achieved without the need to burn excess fuel. This efficiency not only saves energy, it also enables the burners to produce stronger and more natural-looking flames. So a high efficiency gas fire is good for your pocket, good for the environment – and attractive too! 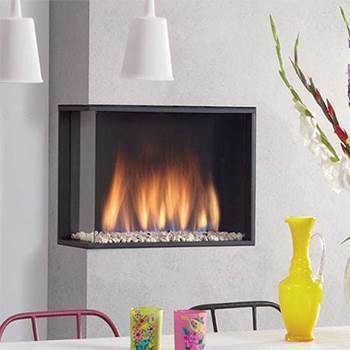 Nexus have a large collection of high efficiency fires in stock right now, including both conventional-flue and balanced-flue models (all glass-fronted and room-sealed). Our range includes fires by Element 4, Eko, Gazco and many more leading manufacturers. Visit our Leicester showroom or call 0116 274 4059 to find out more.